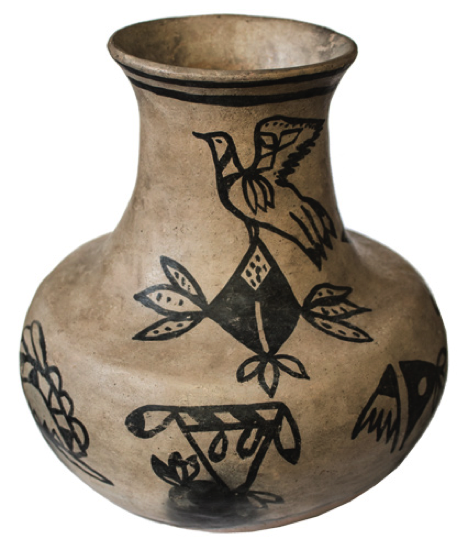 Why do we love old Tesuque pieces? This good-sizd jar explains it all. Yes, the birds around the neck are clearly recognizable as birds. But just try to explain some of the other creatures who bounce around its midbody. 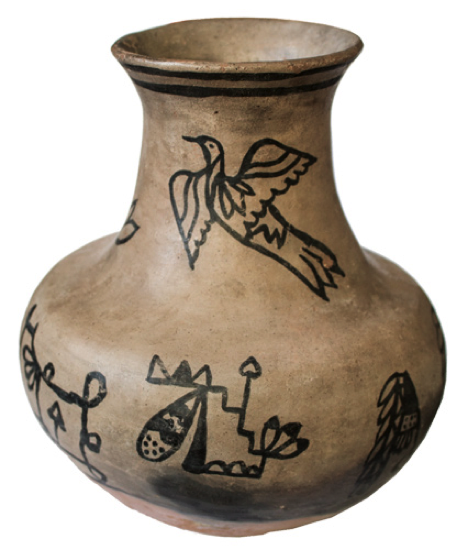 The potter who made this clearly was enjoying herself, and her cartoony doodlings are just as amusing today as they were when she painted them. 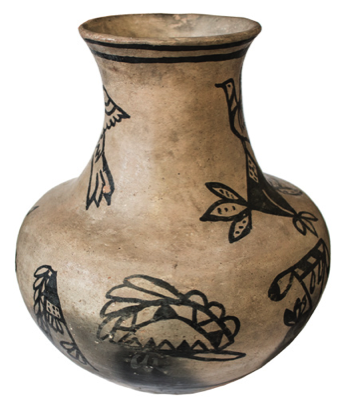 Decoration aside, the jar itself is an excellent piece of traditional pottery that's been well cared-for for more than a century. 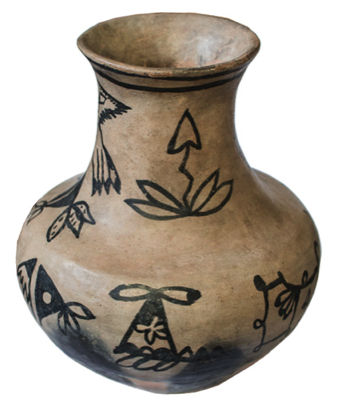 It may have been made for a Santa Fe trader to sell to tourists, but unlike later Tesuque tourist pieces, it was made as carefully as the pieces the best Tesuque potters made before the traders and the tourists prompted them to cut corners and change their art. This is something of a rarity: a fine piece made for fun.